A hardworking contractor replaced boards and resurfaced my deck so I didn't need to pay for a new one. My deck was literally falling apart last summer, so I knew I had to do something about it, but I wanted to keep it simple. The contractor that I found online checked it out and said, "You don't need to replace the deck, just repair it." He gave me an estimate for the labor and hardware only, with no extras. I paid him half up front and he stuck to the fee as agreed. He worked three 10-hour days to get the repairs and resurfacing done on time. In fact, he even worked an extra morning at no charge. I'm a New Yorker -- I like to be involved in this kind of project. I'd tell him every time I saw another board that needed to be replaced and he was fine with that. This contractor was super-neat, and brought all the replaced decking to the curb in neat bundles. His attention to detail was above board, especially the cleanup which was unbelievable. He gave so much and never asked for more. In fact, I tried to pay him extra but he wouldn't take it. He was a nice guy, too, always happy, laughing, and smiling. I'd be glad to have him come back to do more jobs. 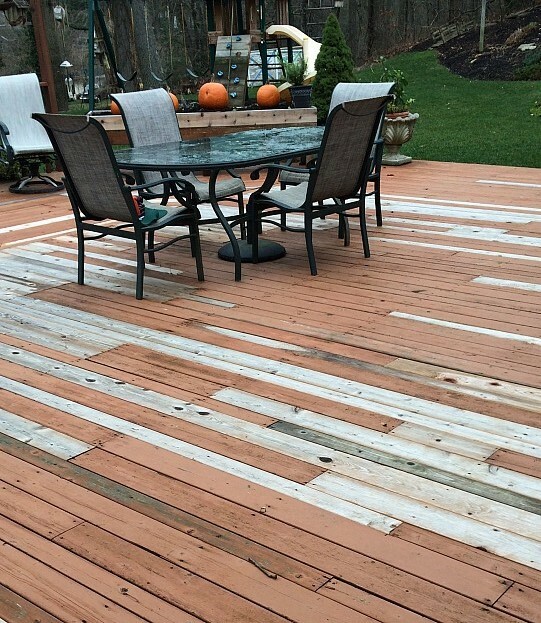 How did the deck repair turn out? It was perfect. 6 months later and it's still looking good. Local Handyman Fixes Fence Damaged by Jacksonville Summer Storm by Cassandra W.
Shingle Replacement Stops My Roof Leak Before A Severe Rainstorm by Joseph M.